The Tees Valley School Games is a unique opportunity to inspire young people to take part in competitive school sport. It is an exciting, fully inclusive competition for school children in the Tees Valley drawing on the values and inspiration of the Olympics and Paralympic Games and celebrating the participation and achievements of everyone taking part. An intra-school competition is a sporting activity taking place between pupils who attend the same school. For example, this can be in the form of an inter-class or house activity. These competitions should culminate in an annual School Games Day, or Sports Day, to celebrate a school’s sporting success. A local inter-school competition is a sporting activity taking place between schools from the same area either as a one-off fixture or as part of a league. These competitions may act as qualifiers for county finals or can be run as developmental competitions or festival events to meet the needs of a local area. A county final is a showcase event held either as the culmination of a series of local inter-school competitions or as open entry events, with invitations made by the Local Organising Committee (LOC). 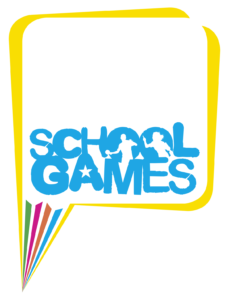 Would you like to know more about the School Games? Visit the Your Schools Website for more info.